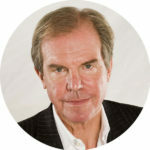 Nicholas Negroponte is the co-founder (with Jerome B. Wiesner) of the MIT Media Lab (1985), which he directed for its first 20 years. A graduate of MIT, Negroponte was a pioneer in the field of computer-aided design and has been a member of the MIT faculty since 1966. He gave the first TED talk in 1984, as well as 13 since. He is author of the 1995 best seller, Being Digital, which has been translated into more than 40 languages. In 2005 he founded the non-profit One Laptop per Child, which deployed $1 billion of laptops for primary education in the developing world. In the private sector, Negroponte served on the board of directors of Motorola (for 15 years) and was general partner in a venture capital firm specializing in digital technologies for information and entertainment. He has personally provided start-up funds for more than 40 companies, including Zagats and Wired magazine.